You will encounter quite a few banks and processors who believe specific types of businesses are considered high contingency. The different businesses that I’m referring to include: Internet Merchant Accounts, Telemarketing Merchant Accounts, Pharmacy Merchant Accounts, Travel Merchant Accounts, and E-Commerce Accounts. The reason why banks and other merchants see the accounts as high risk is because the large amount of charge backs, violating legalities, constant returns, and negative publicity for dealing with such businesses. 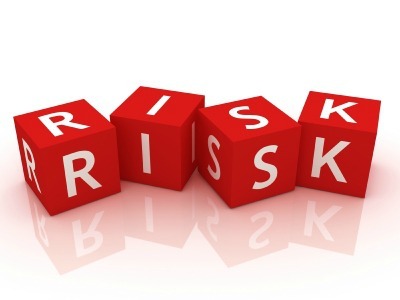 Merchant accounts are most often very high-risks and find it complex in opening a merchant account. Strict laws apply to the banks and processors for such actions that take place. Too many scams from various countries are embezzling money through companies and personal transactions. This is a primary reason why the laws are very stringent. Banks will not bend the way they used. People who have abused the opportunity years ago have made it very difficult for people today to open up such accounts. Depending on the amount of time the business has been established, some banks may honor your request. It shows the stability of the business which is what banks want to see. This defines the comprehension level of the business on how important it is to do the right thing and maintain a prominent level of professionalism. Usually, most merchant account providers will check your company’s credit and, or your personal credit score. It has to be shown that a business owner or person making such request, can pay back their loan. If you cannot show that you are able to do so, you will be denied from opening up a merchant account. Your credit score has a lot to do with establishing a good rapport with a bank or processor. If you have previously opened a merchant account once before, be sure that your account was in the positive and not the negative. If it is, see what you can do to get it fixed and in good standing. The banks will check to see your prior standings to see how eligible you are. Regardless if the predecessor has removed your account, it is possible that it will show up again. Once you’ve established a connection with the banks, you will be granted your live merchant account so you can get your business going and in action. You can search for the best rated merchants online and start transacting today! We make signs all over town and switching to 1st National from another processor has allowed us to save money every month and improve our service by accepting debit cards, upgrade our terminals and run our online store via their ecommerce options. We recommend them to your for Processing and more.